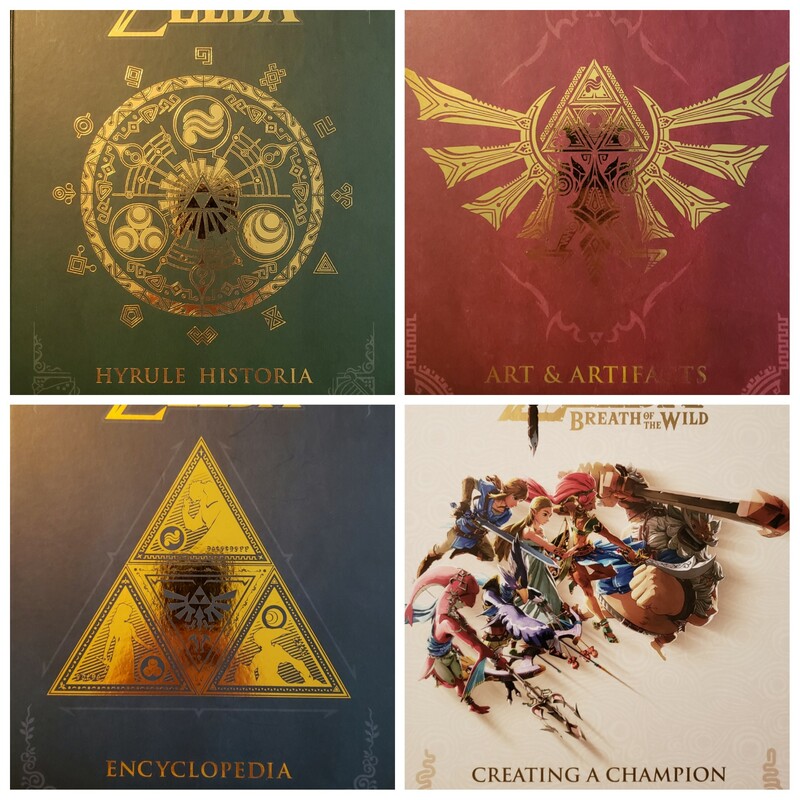 Coolest Gaming Art Book or Book Series? 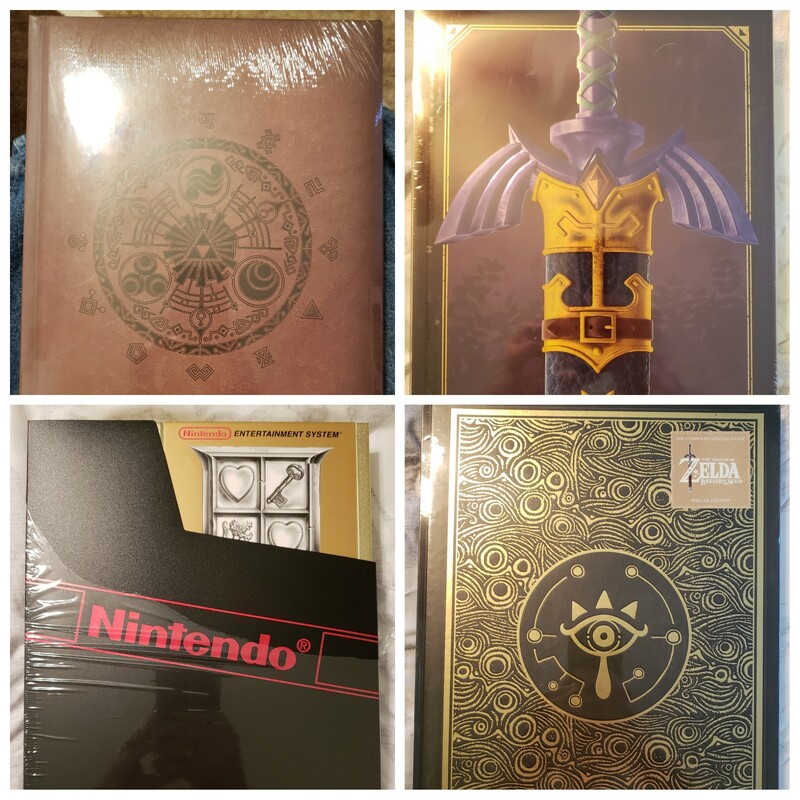 Arts & Artifacts has an acetate slipcase that makes it look like you are unsheathing the Master Sword when you pull the book out. Encyclopedia looks like a gold cartridge, complete with felt-lined cart dust cover replica and instruction booklet. Creating a Champion one-upped them all with two versions. 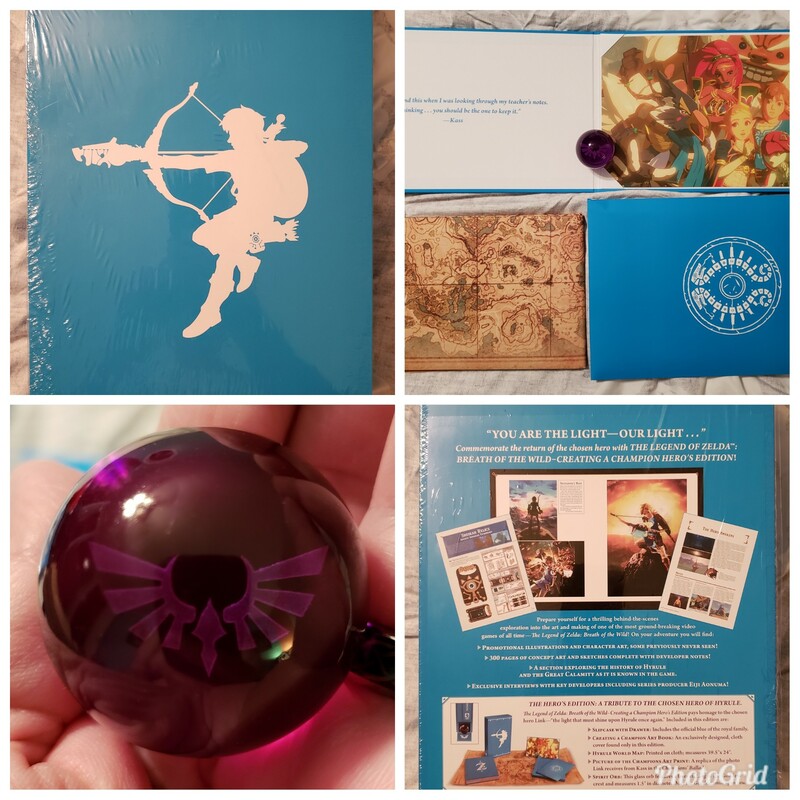 The Hero's Edition comes in blue with a cloth map, framed picture and the box has a hidden compartment with a glass spirit orb. Going completely over the top, the Gamestop exclusive Champions Edition comes in a textured leather box with felt lining. The book inside has two different cover illustrations on the front & back. 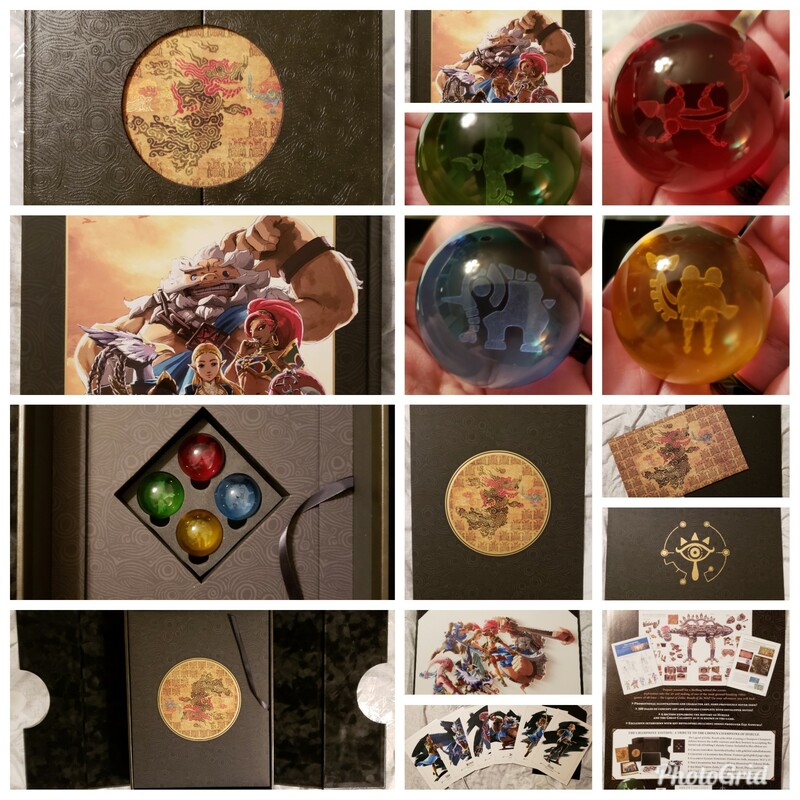 A cloth Calamity Ganon map, six jumbo postcards, a large framed print and a hidden compartment with four glass orbs, one for each divine beasts! Nintendo who has always been stodgy with their properties really has begun to open the floodgates in the last five years or so. So what is your favorite(s)?! Re: Coolest Gaming Art Book or Book Series? At the moment, the Final Fantasy Ultimania volumes. I read the first volume cover to cover. It was a powerful trip down memory lane, but it was also informative because it detailed how they created their sprites, monster designs, plot outlines, programs, etc. I loved it. I'm going through the chapter of Final Fantasy VIII now in the second volume. I purposely skipped the chapter Final Fantasy VII because I think I want to go through it again and want the journey to feel as fresh as possible. The books are amazing. The covers are sturdy, the pages are glossy and they filled them in with as much content as could fit on the pages. 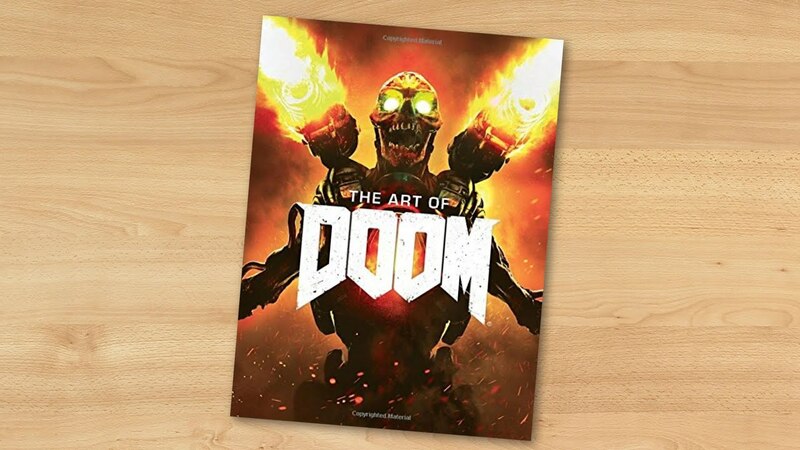 I'd agree with Legend of Zelda or Final Fantasy, but the one that really catches my eye is "The Art of DOOM". Oh goodness, I can't count how many art books I have at this point. I love them. My favorite line of them I guess would be anything under the "Complete Works" label, but really it's about the art/information itself on the IP. If I had to choose a few favorites it would be the Metal Gear set Dark Horse released, the Kazuma Kaneko Works books featuring all of his art for the Megaten games, and any of the Mega Man official complete works books. "The Art of Grasshopper Manufacture" is a great one as well, because it's filled with information straight translated from Suda himself on the developments for the games and everything. I could go on and on, I just really like art books. Purely because of how much I love its artstyle I have to say The House in Fata Morgana's artbook. But there's also a surprisingly unheard of set of books I have called The Sky which is a collection books of Yoshitaka Amano's artwork for the Final Fantasy games and it's naturally gorgeous. Something about them feels really high quality and premium and it feels great to own. I owned the Sky box set but traded it at my local game store. Amano's art is gorgeous. The Famicom versions of Final Fantasy 1-3 are adorned with his artwork. Whaaaaaat? Why would you sell something like that to a game shop? That's precious, man. I hope they at least gave you a good deal for it. Lol. It's a mom & pop shop. The guy is a collector. He has a huge room in the building full of books, collectors editions, etc that he keeps for himself. I may trade him something else some time to get them back. I adore Artbooks! Really do and I'm thrilled that they're far more readily available these days. As I said, a bit biased considering Final Fantasy IX is my favourite game of all time! But this book is just such an oddity! It was published by BradyGames - A company who made Strategy Guides! & At a time where Video Game Artbooks weren't really published outside Japan it's wild to think how we got this near the release of the game. But what is also amazing is the content! The wonderful thing about this books is that it doesn't jsut cove the traditional Amano Art and character Profile Art we've all seen before. Teh best way to describe this book as if some went into Square's office with a massive vaccum, sucking up all the illustration works and let it flourish on the pages of this book! 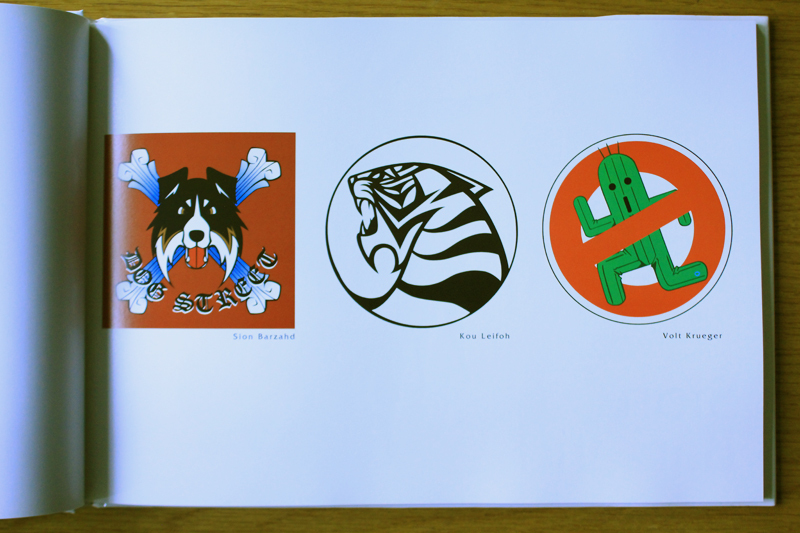 It covers all sorts of designs from Location Artwork, to NCP designs, creatures, monsters, weapons - It really offers all you could ask for in an Artbook & I treasure it as one of my favourite items I own! A book Series I also adore is called, the Digital Arts Collection. 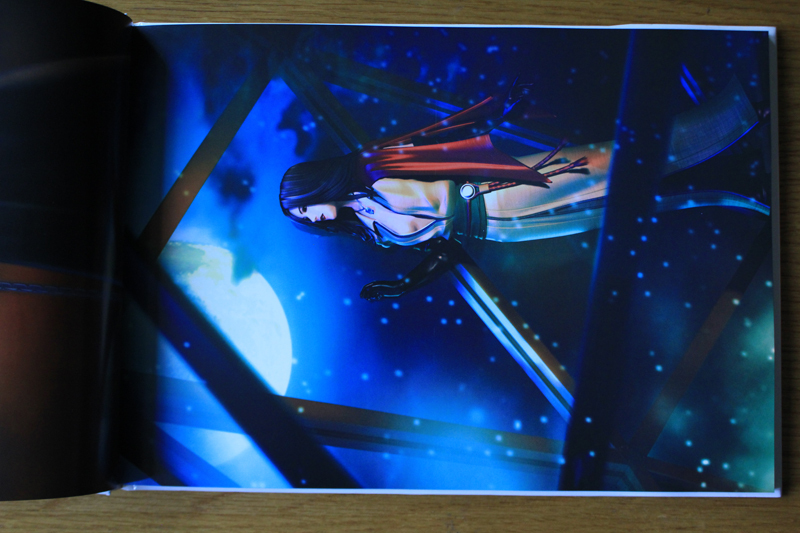 while thin on Pages the print quality is devine! 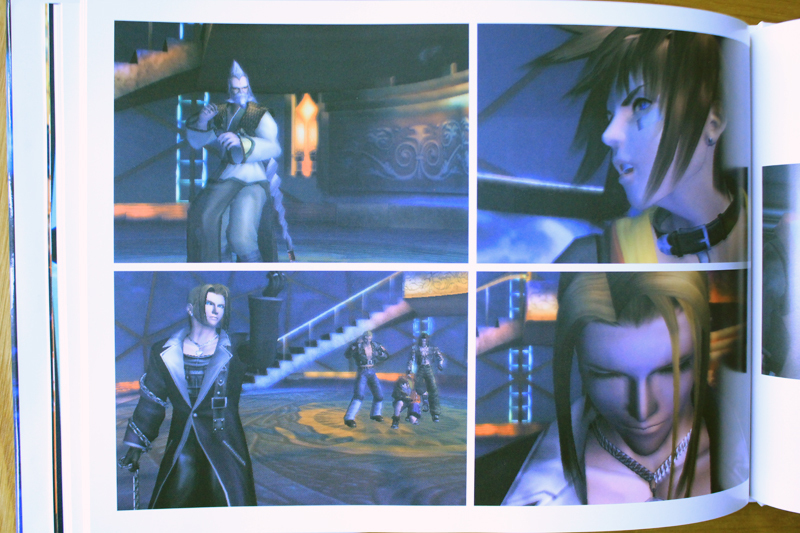 Lovely full pages of Artwork that are so pretty to look at, they covered Final Fantasy IX, X, X-2, Kingdom Hearts, Unlimited Saga and... THE BOUNCER! 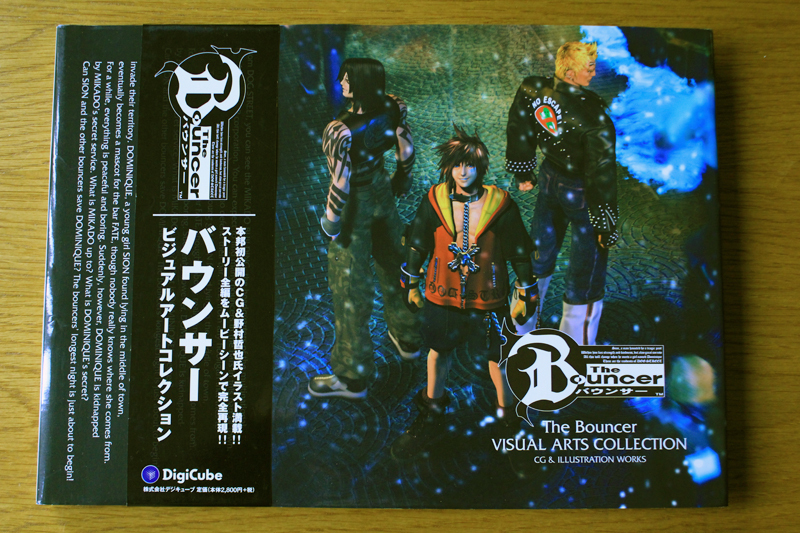 - If I haven't made it clear already I adore this game and to have an Artbook dediced to it is just wonderful! Also, a Shout out to Dark Horse and all there work on brining Japanese Artbooks over here, I love there Final Fantasy, Metal Gear Solid, Wolfenstien Artbooks!